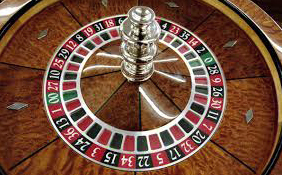 “Roulette” is a French word that means small wheel. Although the origin of Roulette is not very clear, sources say that a French mathematician called Blaise Pascal invented the Roulette wheel in the 17th century. Some say that the real origin of the game is China and the game was brought to Europe by Dominican Monks who used to trade with China. Gambling was first introduced in Monaco in the 18th century by Prince Charles the then ruler of Monaco to tackle the financial problems people had in the region. Perhaps that is how the game became so popular during that period. 1842 is now when the modern version of the Roulette wheel appeared. It is during this time that Frenchmen Louis Blanc and Francois invented the “0” Roulette game. In the early 1800s is when the game was finally brought to America. After the single zero “0” modification was rejected by gamblers in America, the two zeroes “00” had to be returned to the Roulette wheel. The Roulette wheel gained popularity in America during the California Gold Rush. Nowadays the game of roulette is popular all around the world, even more so since online gambling spreads across the continents. Online casinos in each country have their own unique features besides obvious ones like language and payout currency. For example, the design and the choice of games of most Australian online casinos clearly indicate certain national features. Let’s get the facts straight – where else can you find slot games depicting emus, kangaroos and koalas? The American and the European roulette style wheel. The American Roulette wheel has 38 numbers from 1 to 36 and 0 and an extra. The house already has a 5.26% advantage with the two zeroes (0 and 00). This means that the house makes $5.26 in profit for each $100 the player bets. The European style roulette wheel on the other hand has 37 numbers – from 0 to 36. The difference between the American and the British style roulette wheels is the extra 00 on the American wheels. The house has a 2.70% edge over the player because of the 1 less number and this gives the house a $2.70 in profit for a $100 the player users. Another difference between the two types of roulette wheels every player needs to know is the colors of the chips. European styled roulette casinos give their players the same colored chips while on the other hand, the American casinos always have their chips come in different colors so that the players can use them apart. Lastly, the European roulette offers the player the option to use the ‘en prison’ rule in case the ball lands on the zero (0). At this point, the player can choose to surrender one outside wager or just leave them so as to use them in the next play. In conclusion, roulette lovers will agree with me that the European Roulette is more popular because the one zero offers a more appealing house edge. But it all depends on which one you prefer.